by Clout, Michael N. (Michael Norman), De Poorter, Maj, Iwatsuki, Kunio, Kawamichi, Mieko, Koike, Fumito. Biological invasion, an issue of growing importance due to the significant increase in international transportation and trade, can disturb the balance of local ecosystems and even destroy them. 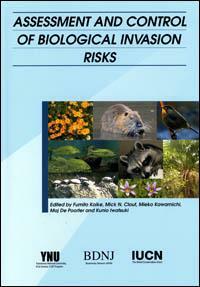 This collection of papers presented at the International Conference on Assessment and Control of Biological Invasion Risks held in August 2004 at Yokohama National University discusses risk assessment, risk management and eradication. It also includes contributions reporting on the current status of invasion and the properties of alien species in East Asia.